Albert Einstein kept the portraits of three inspiring predecessors on his study wall: Sir Isaac Newton, James Clerk Maxwell and Michael Faraday. This is the story of those three pioneers in the fundamental language of mathematics. Imagine you are fluent in a magical language of prophecy, a language so powerful it can accurately describe things you cannot see or even imagine. Einstein’s Heroes takes you on a journey of discovery about just such a miraculous language—the language of mathematics—one of humanity's most amazing accomplishments. Blending science, history, and biography, this remarkable book reveals the mysteries of mathematics, focusing on the life and work of three of Albert Einstein’s heroes: Isaac Newton, Michael Faraday, and especially James Clerk Maxwell, whose work directly inspired the theory of relativity. 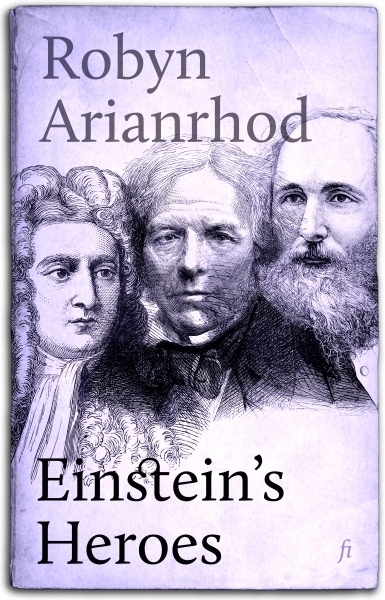 Robyn Arianrhod bridges the gap between science and literature, portraying mathematics as a language and arguing that a physical theory is a work of imagination involving the elegant and clever use of this language. The heart of the book illuminates how Maxwell, using the language of mathematics in a new and radical way, resolved the seemingly insoluble controversy between Faraday’s idea of lines of force and Newton’s theory of action-at-a-distance. In so doing, Maxwell not only produced the first complete mathematical description of electromagnetism, but actually predicted the existence of the radio wave, teasing it out of the mathematical language itself. Here then is a fascinating look at mathematics: its colourful characters, its historical intrigues, and above all its role as the uncannily accurate language of nature.